CTC UNION 4 Port Gigabit Unmanaged PoE Switch. 4x 10/100/1000Base-T(X) CTC UNION 4 Port Gigabit Unmanaged PoE Switch. 4x 10/100/1000Base-T(X) , plus 2x 100/1000Base-X SFP. -10C ~60C. PoE+ power budget 24V DC/120 W. Power consumption V DC/W: 24/ 143.3, 48/138.2. Dinmount kit incl. CTC UNION 4 Port Gigabit Unmanaged PoE Switch. 4x 10/100/1000Base-T(X) CTC UNION 4 Port Gigabit Unmanaged PoE Switch. 4x 10/100/1000Base-T(X) , plus 2x 100/1000Base-X SFP. -40C ~75C. PoE+ power budget 24V DC/120 W. Power consumption V DC/W: 24/ 143.3, 48/138.2. Dinmount kit incl. 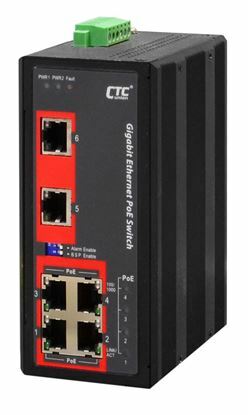 CTC UNION 4 Port Gigabit Managed PoE Switch. 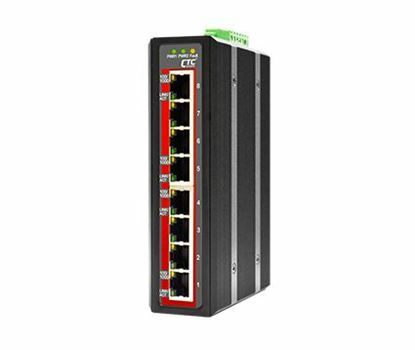 4x 10/100/1000Base-T(X) CTC UNION 4 Port Gigabit Managed PoE Switch. 4x 10/100/1000Base-T(X) , plus 2x 100/1000Base-X SFP. -10C ~60C. PoE+ power budget 24V DC/120 W. Power consumption V DC/W: 24/ 135.2, 48/132.5. Dinmount kit incl. 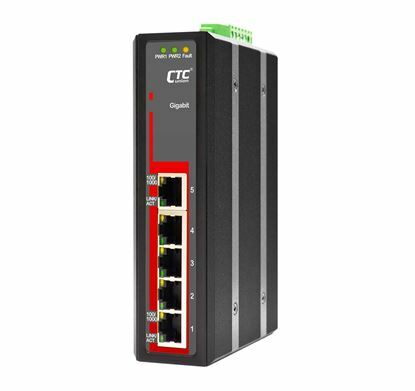 CTC UNION 5 Port Gigabit Unmanaged Switch. 5x 10/100/1000Base-T(X). CTC UNION 5 Port Gigabit Unmanaged Switch. 5x 10/100/1000Base-T(X). -10C~60C. Power consumption V DC/W: 12/3.3, 24/3.4, 48/4.8. Dinmount kit included. 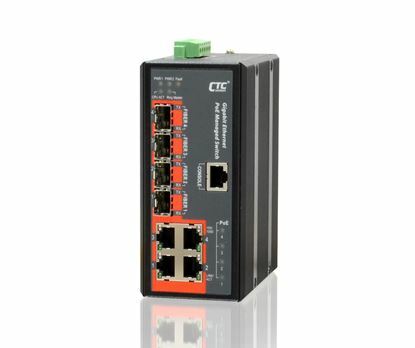 CTC UNION 5 Port Gigabit Unmanaged Switch. 5x 10/100/1000Base-T(X). CTC UNION 5 Port Gigabit Unmanaged Switch. 5x 10/100/1000Base-T(X). -40C~75C. Power consumption V DC/W: 12/3.3, 24/3.4, 48/4.8. CTC UNION 8 Port Gigabit Unmanaged Switch. 8x 10/100/1000Base-T(X). 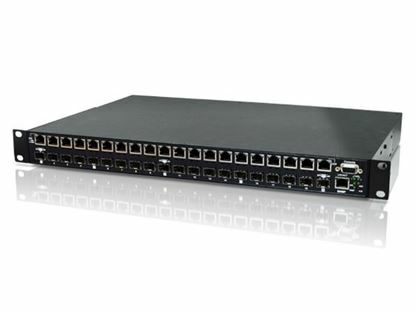 CTC UNION 8 Port Gigabit Unmanaged Switch. 8x 10/100/1000Base-T(X). -10C~60C. Power consumption V DC/W: 12/3.3, 24/3.4, 48/4.8. CTC UNION 8 Port Gigabit Unmanaged Switch. 8x 10/100/1000Base-T(X). CTC UNION 8 Port Gigabit Unmanaged Switch. 8x 10/100/1000Base-T(X). -40C~75C. Power consumption V DC/W: 12/3.3, 24/3.4, 48/4.8. Dinmount kit included. 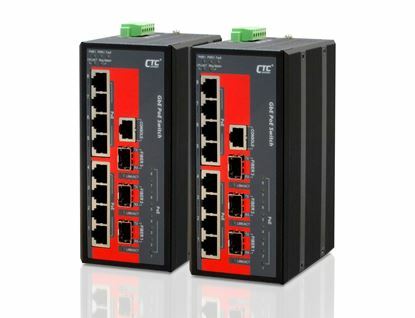 CTC UNION Industrial grade 16 Port Gigabit Managed PoE+ Switch. 8x Gbe CTC UNION Industrial grade 16 Port Gigabit Managed PoE+ Switch. 8x Gbe SFP, 8x PoE+ (Max 240W). Operating temperature range (-10 to 60C). Housed in rugged DIN rail. 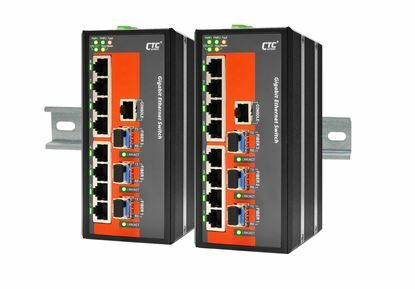 CTC UNION 20 Port Managed SFP Patching HUB. 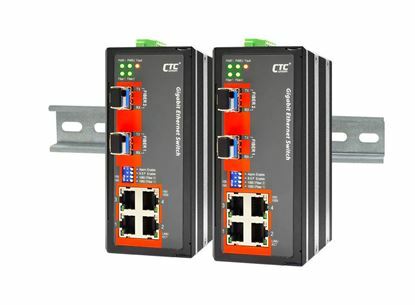 Converts CTC UNION 20 Port Managed SFP Patching HUB. 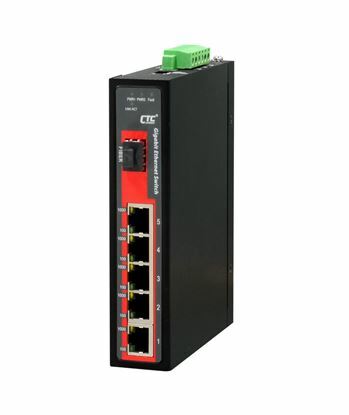 Converts 100/1000Base-FX Ethernet copper to 100 & 1000Mbps SFP fibre. With SNMP and Web-base management for remote admin.